Mix all ingredients in a bowl untill u have a fine paste and apply it with a brush on your skin. You aren't limited, you can apply this mask also on your neck or on your body. If you have very problematic skin it's recommended to use this mask 3 times a week, for normal skin once per week is enough. Y0u will notice considerable results after using it for about a month. NOTE: Tumeric might stain your fingernails, your clothes etc. For those with pale skin, begin with 1 tsp. 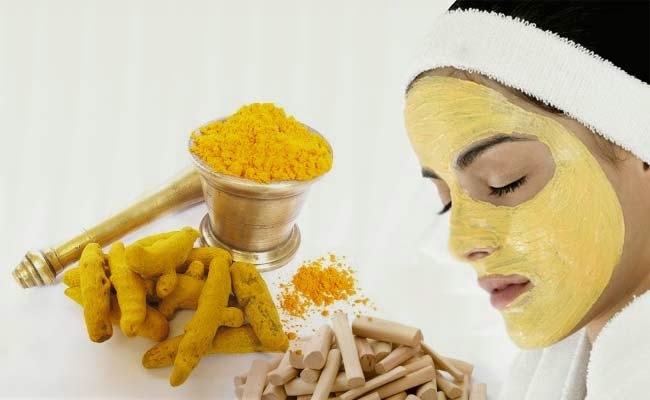 and gradually use more, because after washing it off tumeric might leave a yellowish stain on your skin. To remove this stain you can use make-up remover tissues. Don't worry if your skin stills seems abit yellowish, the staining will fade away within the next hours. Eat Healthy Live Longer : Turmeric one of the most effective nutritional supplement in existence.